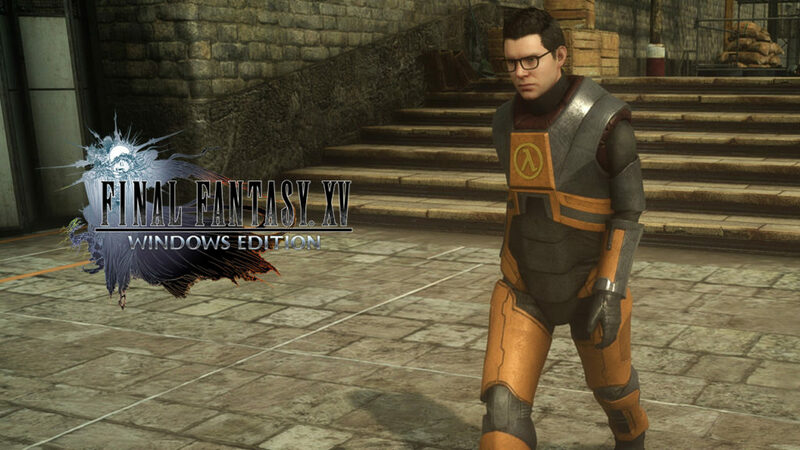 A brand new Final Fantasy 15 Windows Edition costume is that for Half-Life Gordon Freeman. Square Enix is giving these Freeman goodies for free with the Final Fantasy 15 Windows Edition. There will be three items available with the Half-Life pack which are the HEV suit of Freeman, his glasses and the iconic crowbar that he carries around. The crowbar is actually available to be equipped and used for attacks. In the single-player campaign, you will get Noctis wearing the HEV suit with a crowbar for a weapon. When worn in Comrades, your avatar can actually look like Gordon Freeman himself.. In order to get the bonus pack, players must purchase their copy of Final Fantasy 15 Windows Edition from Steam on or before May 1. The items will be made available through the Steam Workshop. The game will officially launch on March 6th. This is the same day that the Royal Edition launches for the consoles. A new update is coming to the multiplayer expansion ‘Comrades’ in Final Fantasy 15.